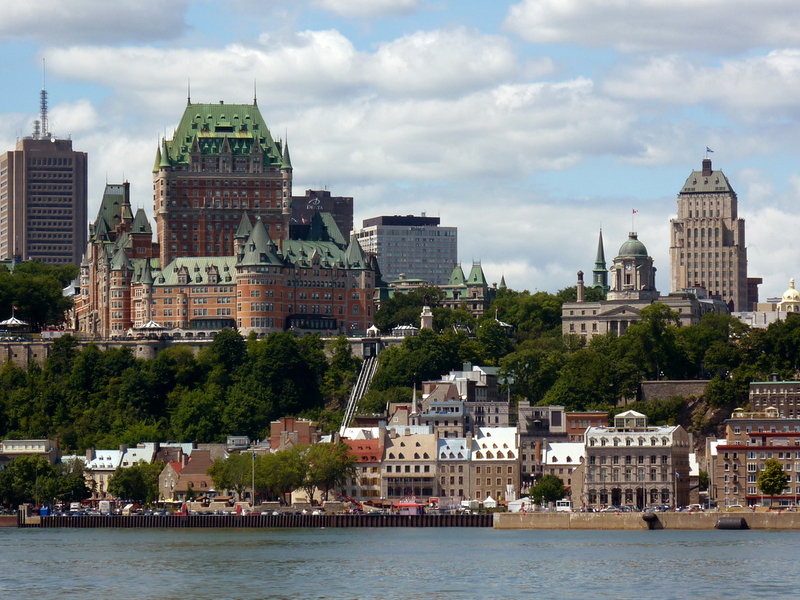 Enjoy the prolific wildlife around the remote and otherwise inaccessible islands of Nova Scotia (including Sable Island), Quebec, Newfoundland and the French territory of St Pierre et Miquelon on this quintessentialy Canadian voyage. The islands of Atlantic Canada offer an abundance of birdlife and marine mammals, in addition to unique fishing and celtic cultures. Beaches and lagoons provide ample viewing opportunities for numerous shorebirds and as we cruise towards the mouth of the St Lawrence we hope to see whales such as the humpback, minke and blue whale as well as grey and harp seals. We will also look for eagles along the beach and gannets fishing the waters. Our onboard naturalists will be spotting and identifying the various creatures that surround us. Starting and ending in historical Louisbourg on beautiful Cape Breton Island, this voyage offers a rare opportunity to explore this historic and beautiful region and take every opportunity to discover the Maritimes in all their glory. As we sail the Gulf of St Lawrence, we will be accompanied by a Cape Breton fiddler and an East Coast musician with a focus on the music of the small fishing villages. Our adventure begins in the historic port town of Louisbourg, Nova Scotia, where we board our expedition vessel, the 96-passenger Akademik Ioffe. First visited by the English in 1597, the town was fortified by the French in 1713 in recognition of its strategic location. In the 18th century, Louisbourg was the third busiest seaport in North America. We will board in the late afternoon in time for a dinner of fresh, local lobster as we sail out past the lighthouse and onto the Grand Banks. Located on the edge of the Grand Banks, hundreds of kilometers from the coast, Sable Island has a storied history as a graveyard of ships, with more than 350 wrecks. Sporadically inhabited by sealers, shipwreck survivors and salvagers, the island is now home to half a dozen year-round inhabitants and a herd of Sable Island ponies, and is now one of Canada’s national parks. Off the north central coast of Cape Breton, the Bird Islands are home to a number of important species including the Great Cormorant, Atlantic Puffin, Atlantic Razorbill, black-legged kittiwake and an important feeding station for Cape Breton’s bald eagles. These remote islands of the Gulf of St Lawrence, part of the province of Quebec, are home to unique fishing communities with beautifully maintained waterfront houses and boats, flowing grassy plains and sculpted sandstone shorelines. In addition to the traditional fishing and sealing culture, we will see a wide diversity of bird life. At Bonaventure Island we drop anchor near the town of Percé and visit the island by zodiac. One of the largest northern gannet colonies in the world, Bonaventure Island is protected as a provincial park of Quebec. We visit the colony, indulging in close up views of these majestic seabirds. At the mouth of the St Lawrence where the river water mixes with Arctic water from the Strait of Belle Isle and the more temperate Atlantic waters, Anticosti Island is rich in marine wildlife. We plan to wander the beaches near the eastern end of the island followed by a zodiac cruise along the cliffs at East Point. We will be keeping eyes open for shorebirds and seabirds as well as whales and seals as we enjoy Anticosti. Sailing into majestic Bonne Bay, in the heart of Gros Morne National Park, the cliffs soar up out of the water and are covered in a green blanket of tuckamore – windswept spruce sculpted by the ocean breeze. At Woody Point we are welcomed ashore by a delegation from the community before visiting the loval interpretation centre. From there, guided walks take us into the World Heritage-listed Tablelands and to the lookout for a view over much of the park – a spectacular experience! 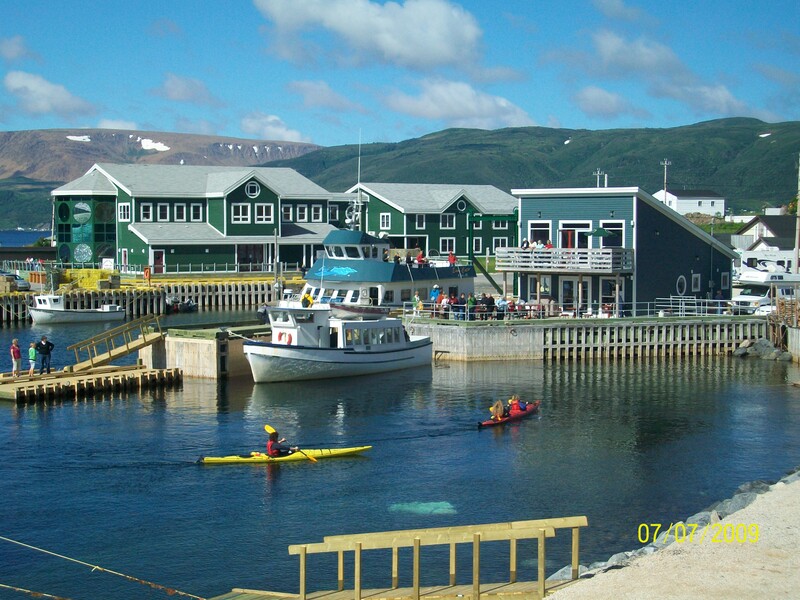 Francois (pronounced Frans-way) is a small, isolated community steeped in the traditions of the sea, perched on the edge of a beautiful fjord on the south coast of Newfoundland. We are welcomed ashore by members of the community and, if we hit it off, we may be invited to a dance at the community hall. The island of St Pierre, is a European enclave still under French control. Walking down the streets feels like taking a stroll through a provincial French town. There’s an excellent puffin colony here and if weather permits we cruise in the zodiacs to see these colourful birds. Tonight we enjoy a special dinner, attended by the Captain, to mark the end of our Maritime adventure. We sail back to Cape Breton across the mouth of the Gulf of St Lawrence, heading again for the historic port of Louisbourg. We will disembark in the morning and while some of us hustle to the airport, many will add a few extra days in Cape Breton to enjoy one of the gems of Canada’s East Coast. Fares were from US $6,195 per person in a triple cabin or $7,195 in a double cabin with sem-private facilities or $8,295 per person en suite. Prices for the 10-day East Coast Wildlife Safari now start at US $4,955 per person including the 20% price reduction and all activities and excursions. Also included is a transfer from the meeting point in Louisbourg to the ship, and transfer from the ship to the departure point in Louisbourg. Family packages are also available for this voyage: children 16 and under can join an adult for just US $1,500, while young people aged 17-20 can take advantage of a 25% discount. For further details please call The Cruise People Ltd in London, England, on 020 7273 2450 or e-mail cruisepeopleltd@aol.com. In North America call 1-800-961-5536 or e-mail cruise@cruisepeople.ca.